Once reserved for the wealthy and powerful, amethyst and black onyx are some of the most visually striking birthstones out there. Luckily for February babies, these ever-popular gems are affordable, durable and always in style. 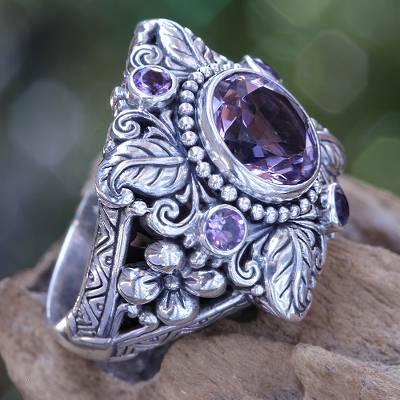 Amethysts have been prized since the time of the ancient Greeks. Their vivid purple color led to an association with Dionysus, the god of wine, fertility and theatre, and a belief that the stone could protect against intoxication and evil thoughts. Amethyst is sacred to Buddhists, and is often used as a material for prayer beads. Amethyst is a variety of quartz with iron impurities that have undergone irradiation. The brilliant color may fade if overexposed to light, so be careful when storing your amethyst jewelry. Onyx is a banded black-and-white stone, favored by the Romans for high-contrast intaglio carvings. Persian soldiers were known to carry onyx statuettes into battle as a source of courage; however, in China, the stone was believed to be a source of bad luck by those mining it and was rarely touched without a protective glove. These contrasting light and dark elements have shrouded onyx in mystery for centuries. Black onyx jewelry became fashionable during the Victorian era, when Queen Victoria’s mourning of Albert inspired English designers to incorporate the stone. Heat and dye may be used to enhance the color of black onyx, but this does not decrease the value of the stone. These days, onyx is mined in the state of Arizona, Mexico and Algeria, but small amounts have been found throughout the world. Onyx is similar to agate, but with straight parallel (instead of curved) bands. Brazil is one of the world’s largest exporters of amethyst; prior to the discovery of large deposits in South America, it was considered to be one of the rarest precious gems. Now that it’s readily available in large quantities, it’s even more popular than ever: though low-quality pieces flooded the market in the 1900’s, amethyst is back on top in world-renowned maisons like Van Cleef & Arpels and Bulgari. 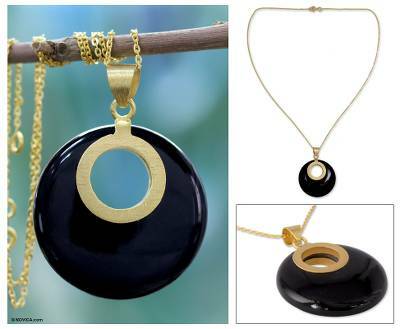 Because of its high opacity, black onyx is often paired with translucent, reflective stones or highly-polished settings. Black gemstones are becoming more popular as those sporting a unique individual style look for options that are a little more out-of-the-ordinary than traditional gemstone jewelry pieces. 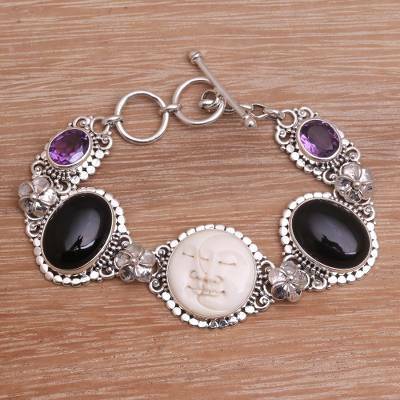 The hand-carved bone medallion at the center of this bracelet represents night and day, and serves as a beautiful contrast for the large black onyx and amethyst stones. Buana’s detailed silver work ties the piece together. Five stunning stones totaling 3.4 carats adorn this silver ring with a floral design, perfect for nature lovers. Kadek Hendra learned silversmithing from his parents, and now works with his wife to create intricate designs inspired by local flora and fauna. Proceeds from this item can provide 263 sachets of oral rehydration salts. 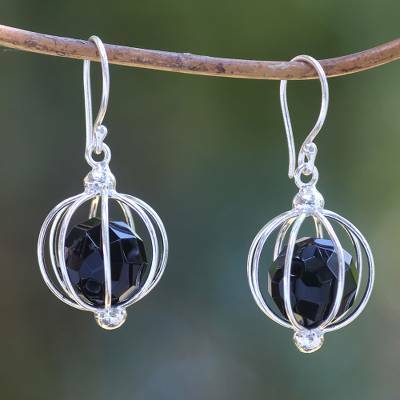 These eye-catching dangling hooks feature a unique contemporary design: faceted stones are held captive in sterling silver orbs that allow constant movement and sparkle. Sukartini works with local silversmiths to pursue her dream of being a creator, and your purchase can help provide 23 measles vaccines. 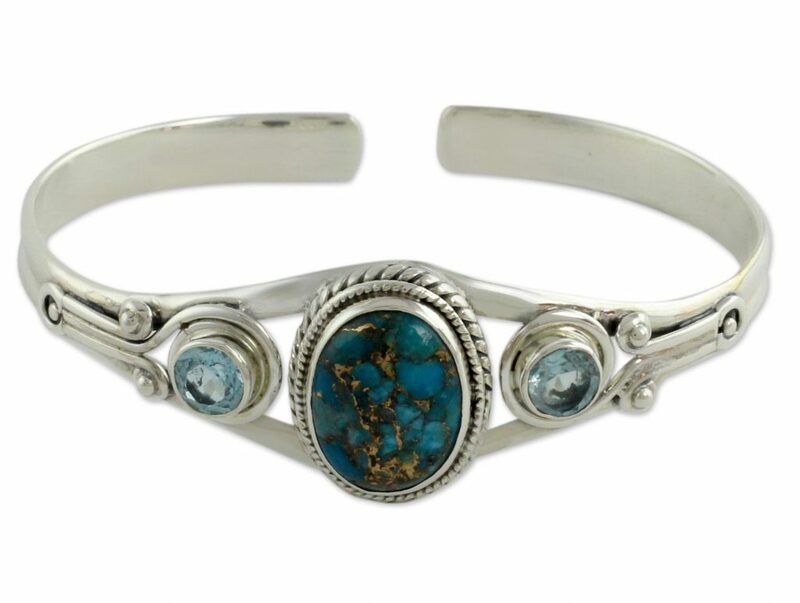 Teodoro Melendez and Family have been handcrafting jewelry inspired by pre-Hispanic Andean culture for decades, and their small workshop is known for excellent craftsmanship. 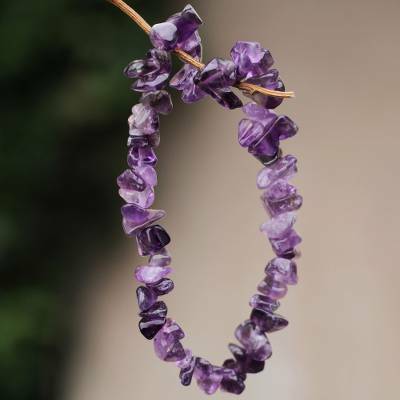 This elastic bracelet features chip-cut natural amethysts in a variety of shades, ensuring that each piece is unique. 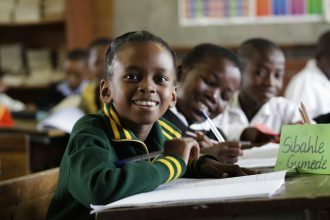 Your purchase can help provide up to 13 nourishment packets to children suffering from malnutrition. This bold, round stone is sure to turn heads with its contemporary cut-out center. The combination of highly-polished black and gold pairs well with many wardrobes, from retro to modern styles. Not only does this piece look great – you’ll also feel great knowing that your purchase supports Bhavesh carrying on a family tradition in his workshop, and can provide 32 doses of measles vaccine to children in need.